she’d made. 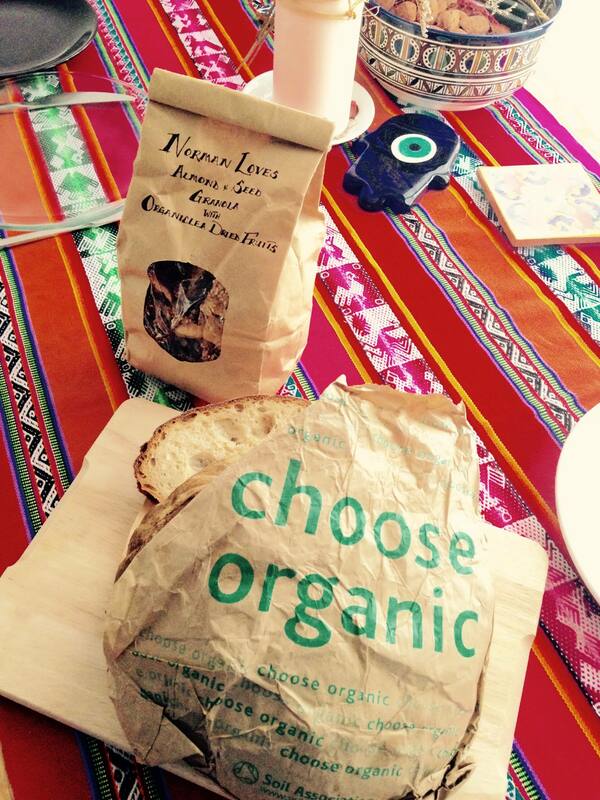 Organic sourdough bread and artisan almond & seed granola with dried fruits from local producers OrganicLea. If in East London, check them out – you’ll find them at The Hornbeam Cafe in Walthamstow, London E17 with some real good eats!